This is a non-oversampling digital-to-analogue converter (DAC) based on the TDA1543 converter IC. 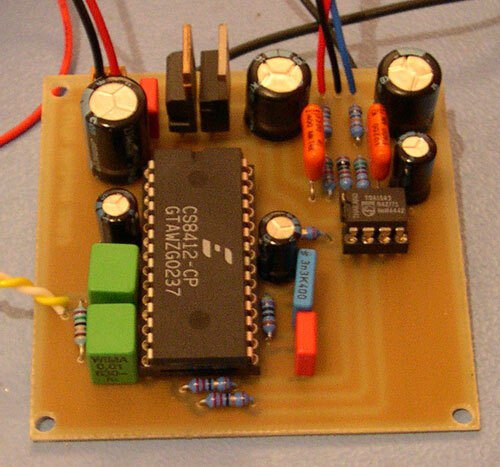 The actual schematic I've used is Fedde Bouwmann's NONOZ-II, but the PCB-layout is my own. The PCB measures just 2.5"x2.5" (6.3x6.3 cm.). 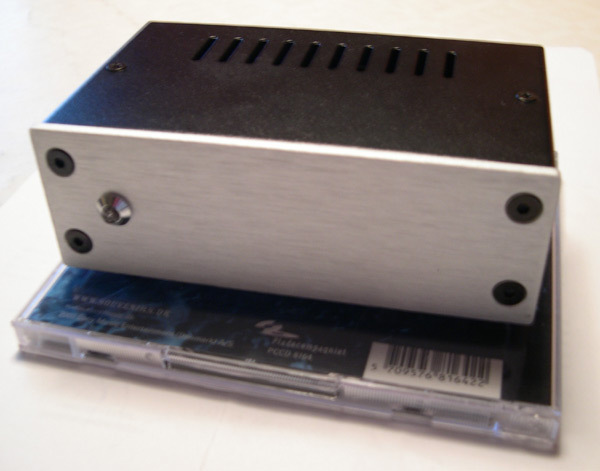 The finsihed, cased-up DAC on a CD-cover for size comparison. The LED is a "signal lock" indicator which is on when an S/PDIF signal is present. There is no power switch, so the DAC is meant to be powered at all times. A look inside the case. The power supply is an external "wall-wart"-type. 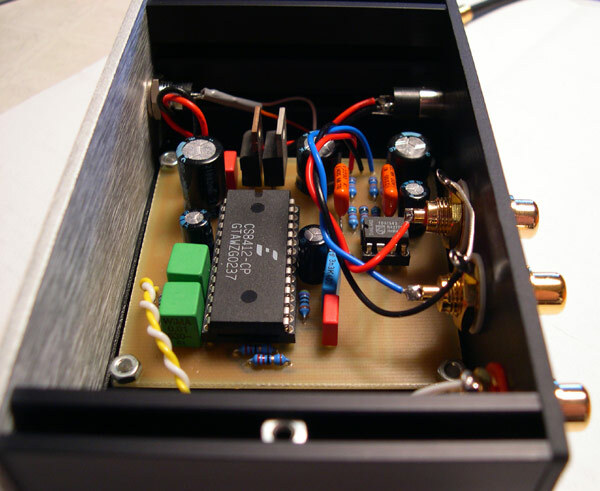 The DAC sounds incredibly good when cost and complexity is taken into account. First off, it is just unbeliveable that it will actually play music (well, to be honest it wouldn't at first, but that was because I'd made a mistake in the PCB-layout :-), but even when it is evaluated more thoroughly, it still surprises. The bass is quite impressive although perhaps a bit lean.The sound is very smooth with lots of detail. When compared to the built-in DAC in my H/K DVD30 (which is my primary source), the DAC managed to outperform the DVD30 on nearly all points. Impressive!